Why was it called Newlands? The Newlands area was once known as Pukehuia. The New Zealand Company sold off 100 acre sections to settlers. 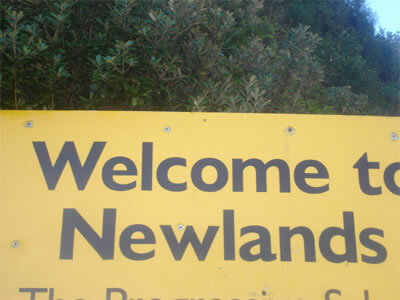 Newlands may have been named after Thomas Newland who settled in Wellington in 1875, or it may have simply meant 'new land'. Development was slow in Newlands. It was a dairy and pig farming area and was the main source of Wellington's milk supply. It was hard to get road improvements until the late 1900's. There was no running water until 1926 and before that they got water from rivers and streams. Even after 1926 running water was only available to houses built after 1926 and others had to use tank water. What is Newlands like now? Newlands is now a busy thriving suburb of Wellington City. Woodridge Estate is serviced by the suburb of Newlands. Seton Nossister Park borders Woodridge Estate and Woodridge Farm.